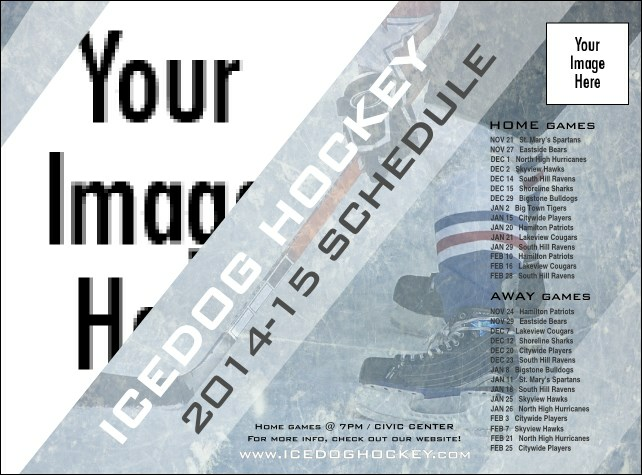 Promote your upcoming season with the Ice Hockey Schedule Flyer. With room for your full schedule (home and away games), this Flyer features ice-cold colors and room for your team logo. Use the left side for a unique picture of your team to get the crowd excited for your season. Don't get stuck in the penalty box! Find your event materials at TicketRiver.com.au!